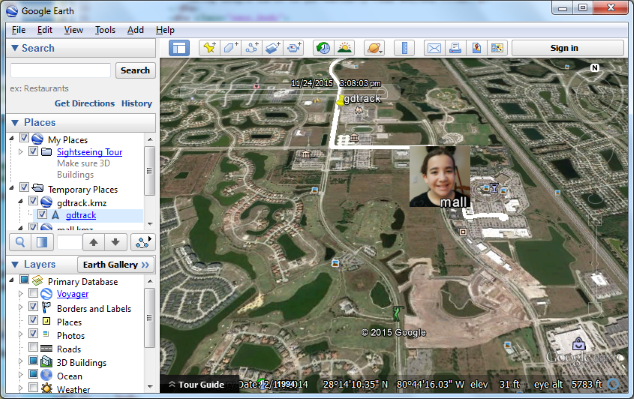 Start Google Earth and go to Add->Network Link. Under Name, enter the name desired to be used under Places. Under Link, enter a valid URL for the KMZ file or press Browse and navigate to the file on the fileystem. Go to the Refresh tab and select Periodically under Time-Based Refresh. 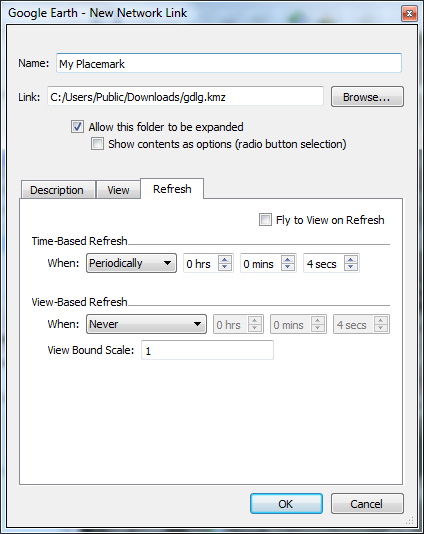 If desired, select Fly to View on Refresh to follow the Placemark as it moves. Click Ok. The KML should show under places and update on the map.